"I must emphasize that everyone stay as still and as quiet as possible." A trailer has debuted for an indie film premiering at the SXSW Film Festival this month. 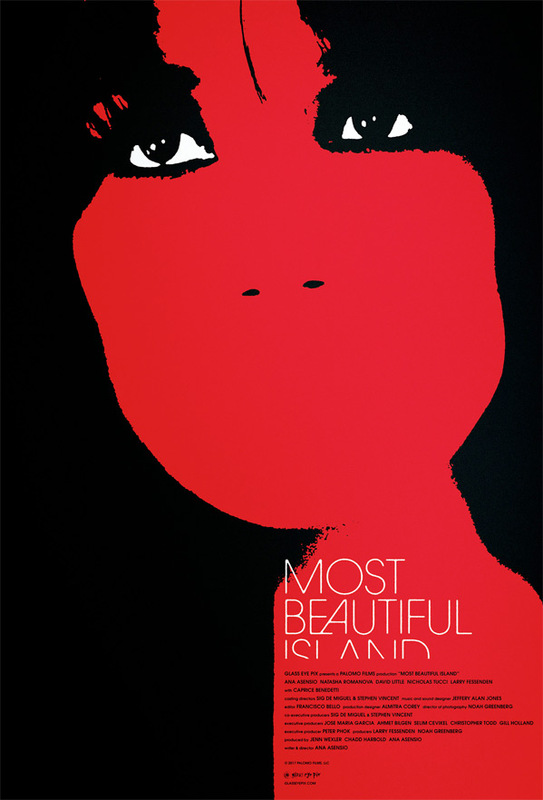 Titled Most Beautiful Island, the film follows an undocumented immigrant living in New York City (the "island" referenced in the title) trying to figure out how to make a life in the city. Spanish actress Ana Asensio stars, and she wrote and directed it as well. It's described as "a chilling portrait of an undocumented young woman's struggle for survival as she finds redemption from a tortured past in a dangerous game." Along with the trailer there's a poster designed by Mondo artist Jay Shaw below. This trailer starts out fairly good, but gets very weird and creepy by the end. A psychological thriller examining the plight of undocumented female immigrants hoping to make a life in New York. Shot on Super 16 with an intimate, voyeuristic sensibility, Most Beautiful Island chronicles one harrowing day in the life of Luciana, a young immigrant woman struggling to make ends meet while striving to escape her past. As Luciana’s day unfolds, she is whisked, physically and emotionally, through a series of troublesome, unforeseeable extremes. Most Beautiful Island is written and directed by Spanish actress-filmmaker Ana Asensio, who also stars in the film, making her feature directorial debut. The film premieres at the SXSW Film Festival this month. Most Beautiful Island is seeking distribution. Interested?